CIA Director George Tenet will claim in his 2007 book that “a group of assets from a Middle Eastern service” is unknowingly working for the CIA by this time. Out of the more than twenty people in this group, one third are working against al-Qaeda. By September 2001, two assets have successfully penetrated al-Qaeda training camps in Afghanistan. [Tenet, 2007, pp. 145] The name of the Middle Eastern country is not known. It is also not known when this group first started working for the CIA nor when the assets first penetrated the camps. Nor has it been reported what information these assets may have shared with the CIA before 9/11. It is known that bin Laden was dropping hints about the upcoming 9/11 attacks to training camp trainees in the summer of 2001 (see Summer 2001). Further, US citizen John Walker Lindh was told details of the 9/11 attacks within weeks of joining a training camp that summer (see May-June 2001). The NSA intercepts “multiple phone calls from Abu Zubaida, bin Laden’s chief of operations, to the United States.” The timing and information contained in these intercepted phone calls has not been disclosed. [ABC News, 2/18/2002] In 2007, author and former CIA officer Robert Baer will comment that “apparently, when Abu Zubaida was captured, telephone records, including calls to the United States, were found in the house he was living in. The calls stopped on September 10, and resumed on September 16 (see September 16, 2001 and After). There’s nothing in the 9/11 Commission report about any of this, and I have no idea whether the leads were run down, the evidence lost or destroyed.” [Time, 12/7/2007] US intelligence had just been warned about a week earlier that Zubaida may be planning an attack on the US (see August 24, 2001). 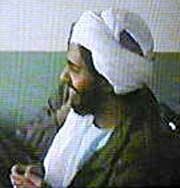 Zubaida’s exact position within al-Qaeda is disputed; he will be captured in 2002 (see March 28, 2002). It appears that a number of Western intelligence agencies were monitoring Zubaida’s calls since at least late 1998 (see October 1998 and After), and continue monitoring his calls in the weeks after 9/11 (see October 8, 2001). With President Bush back in Washington after a long vacation, CIA Director George Tenet resumes personally delivering the Presidential Daily Briefing (PDB) to him. Tenet has one meeting with Bush on August 31, 2001, after Bush’s return (see August 17 and 31, 2001), and then briefs him six more times in the first eight days of September. Bush is out of town the next few days, so he is briefed by other CIA personnel. [Agence France-Presse, 4/15/2004] By this time, Tenet has been told about the arrest of suspected terrorist Zacarias Moussaoui (see August 23, 2001). But there is no evidence he mentions this to Bush before 9/11. Further, on August 23, 2001, the CIA watchlisted 9/11 hijackers Khalid Almihdhar and Nawaf Alhazmi and began looking for them in the US (see August 23, 2001), but there’s no evidence Tenet or anyone else briefed Bush about this, either. The Defense Logistics Agency Headquarters Complex at Fort Belvoir. [Source: US Army] (click image to enlarge)The US Army sharply restricts public access to Fort Belvoir, one of its installations about 12 miles south of the Pentagon. After being an open post for over 25 years, Belvoir has now erected barriers across many of the roads leading into it, leaving only six guarded gates as points of entry and exit. Twenty access points are being permanently closed. Visitors must now register their vehicles at a visitor’s center or get a day pass to enter the base. [MDW News Service, 7/2001; Washington Post, 8/15/2001] The access restrictions will allow commanders to know who is entering the base 24 hours a day and adjust security measures immediately if needed. [MDW News Service, 8/3/2001] All other Military District of Washington (MDW) installations are implementing similar changes, due to Army concerns about terrorism (see August 15, 2001). 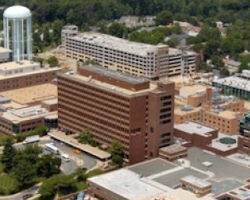 Fort Belvoir has about 20,000 workers and is home to many different agencies, including the US Army Intelligence and Security Command (INSCOM), plus the headquarters of the Defense Logistics Agency and the Defense Technical Information Service. [Military District of Washington, 8/2000; Washington Post, 8/15/2001; GlobalSecurity (.org), 10/21/2001] Occupying over 500 acres at Belvoir is Davison Army Airfield. 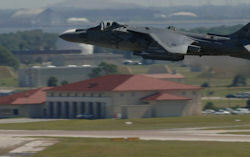 The 12th Aviation Battalion, which is MDW’s aviation-support unit, is stationed at Davison. This operates UH1 “Huey” and UH60 Black Hawk helicopters in support of training and “contingencies” for various MDW units. [Military District of Washington, 8/2000; GlobalSecurity (.org), 1/5/2002] The Washington Post has reported, “Fort Belvoir will be holding exercises the next two Tuesdays to test the changes” in access to the base. [Washington Post, 8/15/2001] This will therefore include September 11 (a Tuesday). Other reports will confirm an antiterrorism exercise being conducted at Belvoir on 9/11 (see 8:30 a.m. September 11, 2001). FBI Agent Robert Fuller. [Source: Lyric Cabral]On September 4 and 5, 2001, FBI agent Robert Fuller attempts to find hijackers Nawaf Alhazmi and Khalid Almihdhar in the US. However, he fails to perform many basic checks, including a check of credit card usage (see September 4-5, 2001). In 2006, journalist Bob Woodward will report that CIA Director George Tenet believed that FBI could have potentially stopped the 9/11 attacks. 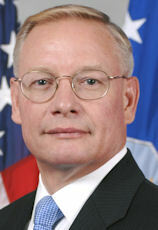 Woodward will write, paraphrasing Tenet, “If the FBI had done a simple credit card check on the two 9/11 hijackers who had been identified in the United States before 9/11, Nawaf Alhazmi and Khalid Almihdhar, they would have found that the two men had bought 10 tickets for early morning flights for groups of other Middle Eastern men for September 11, 2001. That was knowledge that might conceivably have stopped the attacks.” [Woodward, 2006, pp. 79-80] Alhazmi and Almihdhar did buy some tickets for themselves and Nawaf Alhazmi also bought a ticket for his brother Salem Alhazmi, but it has not been reported that they bought as many as ten tickets (see August 25-27, 2001 and August 25-September 5, 2001). He requests that a national motor vehicle index be searched. However, a July 2001 police query on Alhazmi’s car that is in that index is not found (see September 5, 2001). Additionally, even though the two were known to have previously entered the US through Los Angeles, drivers’ license records in California are not checked. He also fails to check national credit card and bank account databases. A Moroccan militant in a prison in Brazil apparently makes an unheeded warning about the 9/11 attacks. 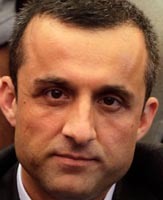 Gueddan Abdel Fatah was imprisoned in January 2001 after a hold-up attempt. On September 5, 2001, he hands a letter to a lawyer named Edith Espinosa, and asks her to take copies to head of the Brazilian prison system and the US embassy. [BBC, 9/15/2001] Espinosa forgets to deliver the letter. On September 10, he sees her again and says that any warning now would be too late. [United Press International, 10/1/2001] In the letter, Fatah says, “I need to talk urgently about very important issues.” He says he intends to reveal information about militant groups that are planning attacks, and he makes reference to “two explosions” that could take place in the US. Shortly after 9/11, he will be questioned and says he was working with a group of Muslim militants in the tri-border area between Brazil, Argentina, and Paraguay that is a known haven for many Muslim extremist groups. 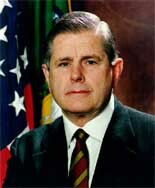 One member of the group had a contact in New York City and “was constantly phoning the United States and holding coded conversations.” This member allegedly told him, “We are waiting for the United States to explode.” [BBC, 9/15/2001] Fatah claims that he visited the US consulates in Argentina and Brazil before his arrest eight months earlier and tried to pass on the warning, but no one paid attention to him. [United Press International, 10/1/2001] Both Osama bin Laden and 9/11 mastermind Khalid Shaikh Mohammed visited the tri-border area in previous years (see December 1995 and June 1998). Meeting with Atta? - 9/11 hijacker Mohamed Atta may also be in Spain on September 5 (see September 5, 2001). 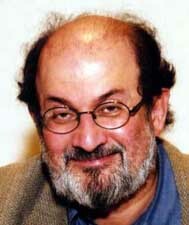 Bin al-Shibh and Atta met in Spain in July 2001 (see July 8-19, 2001), and there are suggestions they utilized a local al-Qaeda support network while they were there. August 28, 2001. A rental car rented by Alhazmi is queried by police in Totowa, New Jersey (see August 28, 2001). [Federal Bureau of Investigation, 10/2001, pp. 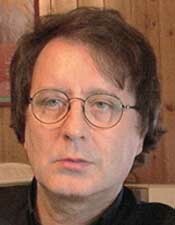 236 ] While this incident will be in the NCIC database when the FBI searches it after 9/11, it is unknown if it is accessible by Fuller when he searches it. If Fuller really does check both the NCIC and motor vehicle databases, it is not clear why he fails to find any of these incidents and thus prove that Alhazmi was in the US. 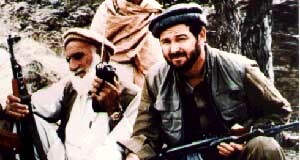 Robert Fuller, a rookie FBI agent at the bureau’s New York field office, contacts Dina Corsi, an agent in the bin Laden unit at FBI headquarters, about the search for Khalid Almihdhar. Fuller, who has been tasked to look for Almihdhar in the US, proposes that the FBI try to obtain additional data on Almihdhar, such as a credit card number from Saudi Airlines, with which Almihdhar flew to the US (see July 4, 2001). However, according to Fuller, Corsi tells him that it would not be prudent to do so. [US District Court for the Eastern District of Virginia, Alexandria Division, 7/31/2006, pp. 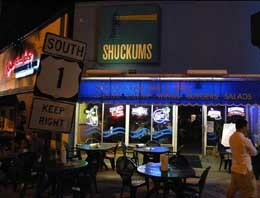 65 ] As a result, Fuller does not do the credit check (see September 4-5, 2001). It is not known why Corsi advises this. 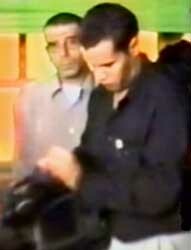 Ben Soltane Adel, a Tunisian detained in Milan, Italy, for belonging to an extremist cell (see January 24, 2001), receives a letter from a fellow militant. The envelope contains an empty chewing gum wrapper. The wrapper is from Brooklyn Gum, a popular Italian brand that features a picture of the Brooklyn Bridge, so presumably it is a hint to Adel about the 9/11 targets. Prison guards notice the wrapper when they open the envelope and think it odd. However, they do not realize the full significance of it until five days later. 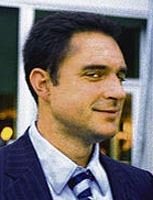 [Vidino, 2006, pp. 226] Some Islamist militants in Milan appear to have foreknowledge of the 9/11 attacks around this time (see September 7, 2001) and September 4, 2001). In January 2001, Adel was monitored talking about using forged documents to help the “brothers who are going to the United States” with Mahmoud Es Sayed, one of the people in Italy who seems to know about the 9/11 plot (see January 24, 2001 and August 12, 2000). 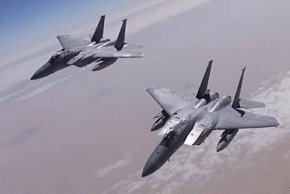 Terrorists Threaten to 'Rain Terror from the Skies' - One of the two exercise scenarios involves the hijacking of a Boeing 747 bound from Tokyo, Japan, to Anchorage, Alaska. 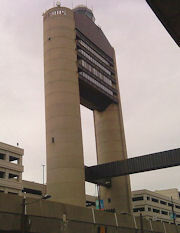 According to a document later produced by the 9/11 Commission, the scenario involves the “[t]hreat of harm to [the plane’s] passengers and possibly [a] large population within [the] US or Canada.” It includes what is apparently a fictitious Asian terrorist group called “Mum Hykro,” which is threatening to “rain terror from the skies onto a major US city unless the US declares withdrawal from Asian conflict.” During the hijacking scenario, some of the plane’s passengers are killed. The plane’s course is changed to take it to Vancouver, Canada, and then to San Francisco, California. 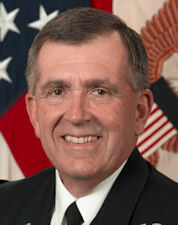 In response to the hijacking, the chairman of the Joint Chiefs of Staff and FAA headquarters direct military assistance, in the form of “covert shadowing” of the hijacked aircraft. NORAD has to liaise with the appropriate air traffic control centers. Its Alaskan region (ANR) and its Canadian region (CANR) participate in the scenario. 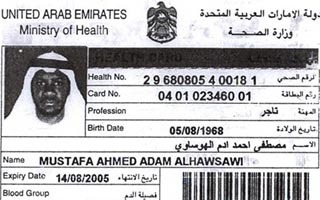 9/11 hijacker Ahmed Alhaznawi obtains a duplicate Florida driver’s license. 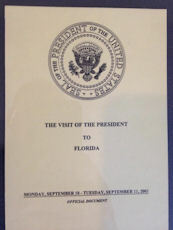 The same day he leaves Florida and travels to Newark (see September 7, 2001), from where his plane departs on 9/11. It is unclear why he obtains new identification a mere four days before the attacks. 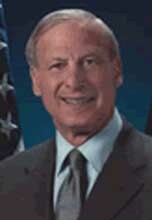 [St. Petersburg Times, 12/14/2001; 9/11 Commission, 8/21/2004, pp. 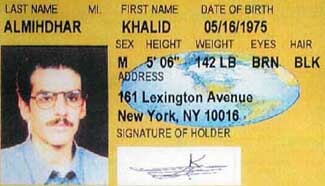 33 ] This is one of several licenses and duplicates the hijackers obtain (see April 12-September 7, 2001). 9/11 hijackers Hani Hanjour and Majed Moqed fail to cash a check at the First Union Bank, where they are accompanied by an unidentified Middle Eastern male. The unidentified male presents a Pennsylvania driving license to a bank employee. [Federal Bureau of Investigation, 10/2001, pp. 265 ] However, there is no record of any of the hijackers obtaining a Pennsylvania driver’s license. For example, no such license is mentioned in the 9/11 Commission’s Terrorist Travel monograph, which lists the documents the hijackers obtained in the US. [9/11 Commission, 8/21/2004, pp. 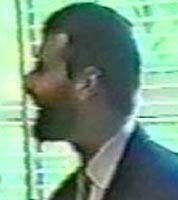 20-33 ] There is only one known instance of any 9/11 hijacker visiting Pennsylvania before 9/11, and that was a three day trip by Ziad Jarrah to Philadelphia in June 2001. Interestingly, Jarrah was seen with an unknown older man during that trip (see June 3-4, 2001). It is unclear whether the unidentified male with Hanjour and Moqed is an associate of the hijackers, or whether one of the hijackers obtained a Pennsylvania driver’s license and the FBI and 9/11 Commission failed to uncover this. 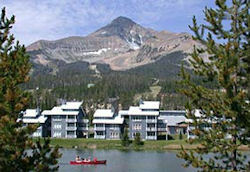 Big Sky Resort, Montana. [Source: FedCenter.gov]Emergency managers from around the US, including Federal Emergency Management Agency (FEMA) Director Joseph Allbaugh and representatives from the emergency management agencies of 47 states, are in Big Sky, Montana, attending the annual conference of the National Emergency Management Association (NEMA), where the main focuses include the issues of domestic terrorism and weapons of mass destruction. 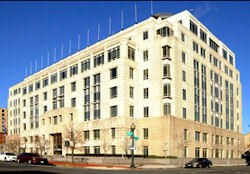 The FBI’s Washington Field Office. [Source: FBI]The FBI’s Washington, DC, field office (WFO) holds a field training exercise in which various agencies practice their response to a terrorist attack involving weapons of mass destruction (WMDs). The exercise is led by Special Agent Christopher Combs on behalf of the FBI. [9/11 Commission, 8/5/2003 ; Federal Bureau of Investigation, 5/17/2011] Combs is the assistant WMD coordinator on the National Capital Response Squad—an antiterrorism rapid response unit—out of the WFO. Osama bin Laden calls his stepmother and says, “In two days, you’re going to hear big news and you’re not going to hear from me for a while.” [Daily Telegraph, 10/2/2001] US officials will later tell CNN that “in recent years they’ve been able to monitor some of bin Laden’s telephone communications with his [step]mother. Bin Laden at the time was using a satellite telephone, and the signals were intercepted and sometimes recorded.” [New York Times, 10/2/2001] Stepmother Al-Khalifa bin Laden, who raised Osama bin Laden after his natural mother died, is apparently waiting in Damascus, Syria, to meet Osama there, so he calls to cancel the meeting. [Sunday Herald (Glasgow), 10/7/2001] They had met periodically in recent years. Before 9/11, to impress important visitors, NSA analysts would occasionally play audio tapes of bin Laden talking to his stepmother. The next day government officials say about the call, “I would view those reports with skepticism.” [CNN, 10/2/2001] Bin Laden gave his natural mother a similar warning some months ago that was also overheard by the NSA (see Spring-Summer 2001).